View Poll Results: what was his type? Van Gogh cut a striking figure. Jo van Gogh-Bonger, who became acquainted with Vincent in 1890, described him in her introduction to the 1914 letters edition as ‘a robust, broad-shouldered man with a healthy complexion, a cheerful expression and something very determined in his appearance’. Small in stature, he had green eyes, a red beard and freckles; his hair was ginger-coloured like that of his brother Theo, his junior by four years. He had a facial tic, and his hands seemed to be in constant motion. He was rather unsociable, which made him difficult to live with. People were often afraid of him, because of his wild and unkempt appearance and his intense manner of speaking. The way he looked and acted alienated people, which did not make life easy for him. Van Gogh was almost always convinced that he was right, and this made him quite tiresome. He was a passionate, driven man, whose tendency to act like an egocentric bully made many people dislike him. They saw him as ‘a madman—a murderer—a vagabond’. 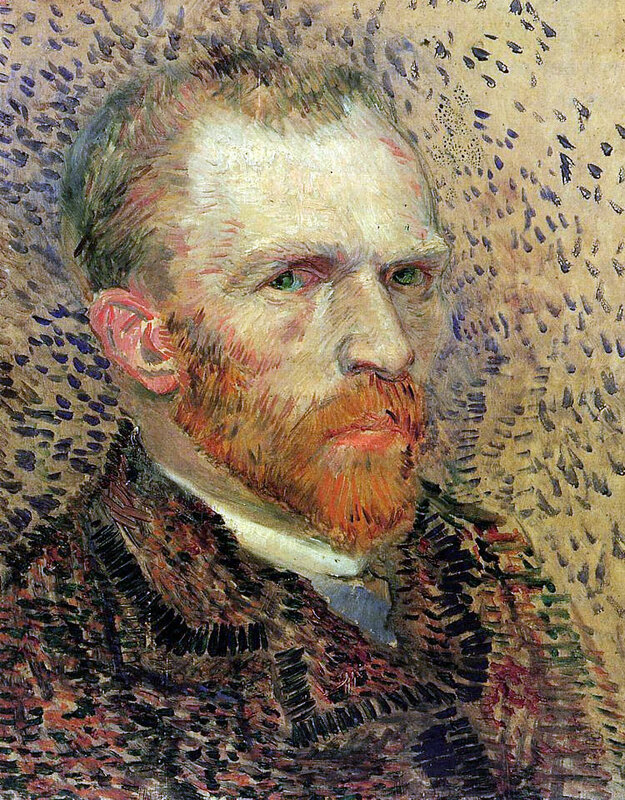 Van Gogh refused to let this upset him: ‘[B]elieve me that I sometimes laugh heartily at how people suspect me (who am really just a friend of nature, of study, of work—and of people chiefly) of various acts of malice and absurdities which I never dream of’. He did not avoid confrontations, nor did he spare himself. Theo described him in a letter of March 1887 to their sister Willemien as ‘his own enemy’. Don’t imagine that I think myself perfect—or that I believe it isn’t my fault that many people find me a disagreeable character. I’m often terribly and cantankerously melancholic, irritable—yearning for sympathy as if with a kind of hunger and thirst—I become indifferent, sharp, and sometimes even pour oil on the flames if I don’t get sympathy. I don’t enjoy company, and dealing with people, talking to them, is often painful and difficult for me. But do you know where a great deal if not all of this comes from? Simply from nervousness—I who am terribly sensitive, both physically and morally, only really acquired it in the years when I was deeply miserable. These last words refer to the years immediately before he embarked on his artistic career. 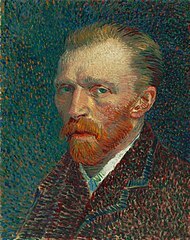 However impulsive Van Gogh was, he generally set to work only after much deliberation: ‘For the great doesn’t happen through impulse alone, and is a succession of little things that are brought together’. Time and again, it was willpower and hard work that enabled Van Gogh to raise his low spirits. He repressed his feelings of guilt towards Theo, his dearest friend and confidant, and the only one who could cope with his difficult character. Vincent was well aware that his brother was investing a great deal in him, and the knowledge that he would never be able to repay Theo occasionally made him despair. after perusing his bio and letters, i get the impression of an ethical introvert, possibly xEI. I relate a lot to van Gogh, in many ways we have similar characters. The quotes above suggest that he values Fe, so I believe that he's IEI-Ni 4w5 sx/sp, perhaps even an "introverted" (in the common sense) EIE like myself. Well, he did somewhat physically resemble Dostoevsky himself, and the two lead similar lives of suffering and loneliness mixed with unconquered idealism. Last edited by Uncle Ave; 01-12-2019 at 09:11 PM. This. Dostoevsky, the author, and EII are more moralizing. He had difficult relationships with anyone close to him, according to his biography.. and would an EII cut off own ear? Van Gogh was a serious and thoughtful child. ... He was encouraged to draw as a child by his mother, and his early drawings are expressive, but do not approach the intensity of his later work. His philosophy was to reject technique in favour of capturing the impressions of things, particularly nature or common objects. Van Gogh's profound unhappiness seems to have overshadowed the lessons, and in March 1868 he abruptly returned home. He later wrote that his youth was "austere and cold, and sterile". In January 1879 he took up a post as a missionary at Petit-Wasmes. To show support for his impoverished congregation, he gave up his comfortable lodgings at a bakery to a homeless person, and moved to a small hut where he slept on straw. His squalid living conditions did not endear him to church authorities, who dismissed him for "undermining the dignity of the priesthood". He then walked the 75 kilometres (47 mi) to Brussels, but gave in to pressure from his parents to return home to Etten. He stayed there until around March 1880, which caused concern and frustration for his parents. His father was especially frustrated and advised that his son should be committed to the lunatic asylum at Geel. In August 1881, his recently widowed cousin, Cornelia "Kee" Vos-Stricker, arrived for a visit. He was thrilled and took long walks with her. Kee was seven years older than he was, and had an eight-year-old son. Van Gogh surprised everyone by declaring his love to her and proposing marriage. She refused with the words "No, nay, never" ("nooit, neen, nimmer"). Kee would not meet him, and her parents wrote that his "persistence is disgusting". In despair, he held his left hand in the flame of a lamp, with the words: "Let me see her for as long as I can keep my hand in the flame." He was definitely much more confrontational and self-destructive in his life than most people think. Some have written that he might have had BPD. He wasn’t emotionally stable, so I think it could be hard to sift through all of that to try to get to his type. I don’t think cutting off his ear rules out EII, though. Eie-ni? Reminds me a little of Nietzsche, who may also have been EIE-Ni. 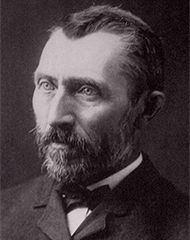 Few figures epitomize the lone artist more than Dutch painter Vincent van Gogh. He lived in the shadows of the artistic establishment and sold few paintings in his lifetime. But a close look at his life tells a story of someone engaged with his peers. He corresponded with many young artists in letters filled with shoptalk and unvarnished critiques of other painters. When he received his first good review, he sent a cypress tree to the critic as a present. He and Paul Gauguin made plans at one point to build an artist colony in the tropics. So why do people still say that Van Gogh was a splendid isolationist? Because it feeds into a satisfying story about the fountainhead of his genius. But the story is a myth. Neither a misfit nor a loner, he was an active participant in his time.